The cutthroat world of poker is expanding so much each year, that with all the players involved it can be hard to get the edge on your rivals. There were a whopping 7,221 players in the World Series of Poker in 2017, compared to 839 in 2003. The 2003 event was around the time of the poker boom, when the internet helped make poker much more popular, and it has grown ever since. With player numbers increasing, and more players incorporating tried and tested methods to win, it’s never been more important to freshen up your own tactics and techniques. For poker players who want to take their game to much higher levels, a good way to improve is to look to the professionals and model their strategies and playing styles. Here we take a look at some of the best poker stars around right now, and examine how they managed to rise to the top. Learning how these guys did it is one way to help you on to the path of success. 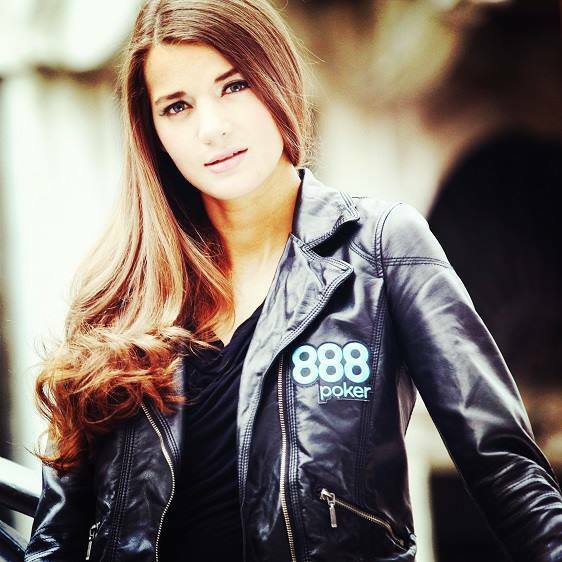 Vivian Saliba is one of the newest ambassadors at 888poker, and she earned this call-up thanks to her success in major poker tournaments over the last few years. The Brazilian recently won her first WSOP cash prize in 2017, when she finished in 421st place in the tournament that Scott Blumstein went on to win. She was the youngest female player ever to enter the ultimate poker event, and took home $27,743. No stranger to progressing deep into major tournaments, prior to this, Saliba’s poker winnings totalled over $110,000. The 24-year-old got into poker at the age of 17, when her father took her to a card club in Brazil. She plied her trade in pot-limit Omaha games, and initially fell in love with the social aspect of poker. This is perhaps where she developed her asset of being a fine reader of her opponents at the table. She enjoys talking to her rivals and having fun at the tables, which is an excellent technique for concealing her own nervousness. Obviously, when playing in an online setting there is less opportunity for this kind of table banter, but when playing in live tournaments you may find that replicating this social style is a good way to loosen up and relax at the table. Martin Jacobson has been in the game for a while, and is one of the players who mastered his trade in an online setting in the height of the internet poker boom. In 2008, the Swedish international qualified for the WSOP by winning an online tournament. He was given the choice to take $10,000 there and then, or fly to Vegas and compete in the paramount poker contest. He opted for the latter but was unceremoniously dumped out of the competition on his third hand. This didn’t faze the humble and dedicated player, though, and in 2014 he battled all the way to the final table of the WSOP Main Event and won the most coveted poker prize – a cool $10 million. Jacobson’s best qualities are his patience and perseverance. He never gave up, knowing that his abilities were strong enough to cut it with the best in the business. If you want to succeed in the dog-eat-dog world of poker, you need to develop this kind of mental resilience. The 30-year-old Stockholm-born player has shown that, through grit and determination, it is possible to come back after suffering a harrowing defeat. Natalie Hof is another fairly new name on the 888poker roster, but she’s far from an unknown entity in the world of poker. The 31-year-old German is a poker player and television personality, and is known for her prowess at the tables along with her captivating personality in front of the camera. She has progressed to the latter stages of numerous European tournaments such as the European Poker Tour Berlin Main Event where she finished in 39th-place. In her career, she has accumulated a healthy portion of winnings, but getting rich isn’t her favourite aspect of the game. In fact, Hof enjoys travelling the world to play poker and meeting people the most. Many players could improve if they were to adopt this attitude towards the game. If you focus on your love for the game and the enjoyment of playing, it helps you to take the rough with the smooth and not get too hung up if you lose out in a tournament. If you’re simply playing to get rich, poker could get boring quickly if results don’t go in your favour. Sofia Lovgren is another lady who has made it far in a poker world dominated by male players. She started playing online when still in high school, and managed to amass a $4000 bankroll from virtually nothing. Unfortunately, the site that she was playing at went bust and she lost everything. The Gothenburg-born star didn’t let this deter her from chasing her dreams, though. Lovgren kept going, and soon realised that poker was giving her a better income than she would have done in a regular job. In 2014, she was contacted by 888poker to become one of the site’s European ambassadors, and has since represented the online poker site in major tournaments worldwide. Lovgren is known for her gutsy play, and her willingness to put all her chips in on a stone cold bluff. If you want to emulate players like Lovgren, you need to know what it’s like to bounce back from losing everything. This will make you fearless, and capable of pulling off the kind of bold moves that separate the pros from the casuals. You can check out all of these players in major tournaments, and on sites like YouTube. By studying the way they play and emulating all the different styles, there is no doubt that you will be able to elevate your poker game to the next level. Next PostNext How Do Live Online Casinos Work?